PORT HAR-COURTâ€” The Nigerian Communication Commission, NCC, has stated its resolve to tackle the defrauding of bank customers who use the electric banking system. The commission expressed worries over the activities of individuals who use the platform to defraud bank customers, vowing that it will tackle the menace through effective synergies and monitoring. NCC disclosed this in Port Harcourt,Rivers State, yesterday during a one-day workshop on Electronic Banking Fraud in Nigeria: Challenges and Way Forward. Executive Commissioner, Technical Services, NCC, Mr. Ubale Maska, at the event, expressed concerns over the level in which fraudsters take on bank customers, who use smart phones for transactions, adding that NCC, has involved, the Central Bank of Nigeria, CBN, Nigerian Police Force and other relevant agencies in the fight against e-banking fraudsters. Maska, who spoke through the Director, Technical Standard and Network Integrity, Dr. Fidelis Onal, said: â€œEveryone of us must have experienced fraud or somebody you know. When this issue of e-banking fraud was raised by banks, the CBN and NCC saw the need to collaborate to fight it. â€œWe have developed frameworks, but after analysis,Â we still noticed some loopholes, so we raised the issue of authentication period. We have decided to also embark on consumers awareness. 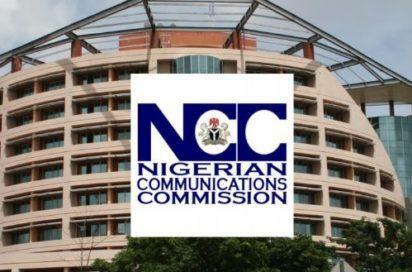 The post NCC worries over cases of e-banking fraud appeared first on Vanguard News.